Getting married is great, don’t get us wrong. But if you’re a big points enthusiast like we are, you may have racked up millions of miles and want to protect those assets in the event you and your partner split up. Each of you come into marriage with miles on your credit cards or airline accounts and it’s common to want to safeguard that property. In the pre-wedding bliss, no one thinks about their miles. They don’t think about not wanting to share them. It is only afterward that they argue about it. A prenup might not be the most romantic thing in the world, but it sure is practical. Image courtesy of SbytovaMN via Getty Images. “A divorcing spouse may ask, ‘Why should my spouse get all the benefits of all of our marital years of travel? '” said Barish, adding that it is commonplace for couples to distribute such assets. For example, when a family or a couple accumulates miles, neither one wants to lose that ability to travel after they break up and they have to be shared or split equitably. By spelling this out before you get married in the form of a prenuptial agreement, you may be able to avoid more drama later. This can be accomplished either in a specific sense, meaning that the parties state how points and miles will be treated if a divorce occurs, or in a general sense, meaning that it would fall under a provision regarding how property accumulated during the marriage will be divided. Lawyers advise clients to discuss this matter during prenuptial negotiations since airline points and miles are considered to be a valuable asset. “Division of points, however, can be tricky if the points are held in only one party’s name and the credit card company will not allow a transfer, in which case you might be left to consider the value which is usually cents to the point,” cautions Kelly A. Frawley, a lawyer at the NYC firm Kasowitz Benson Torres, LLP. Another issue that might arise is one spouse using points while the divorce is pending without getting the consent of the other party, which might not be wrong, but can upset the party who did not get to use them. 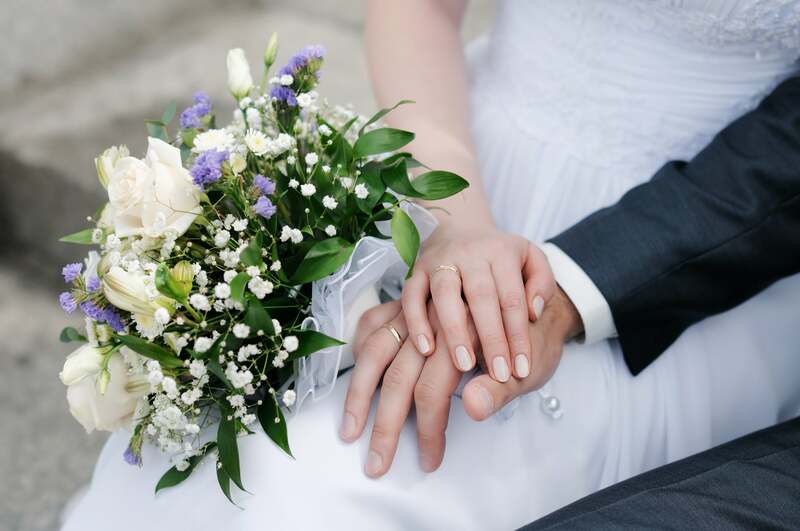 In order to properly address this in a prenuptial agreement, rather than waiting for the event of a divorce, a lawyer would include a provision that airline points and miles accumulated during the marriage would be separate property retained by the individual in whose name they are held. Or, conversely that the airline points and miles would be marital property and subject to division at the time of a divorce. So, whether you draft a prenuptial agreement or not — and this would be dependent on one’s financial situation at the time of marriage — it is important to properly identify each party’s points and miles, including the amount of points in question, to avoid any potential divorce drama down the road. Have you had any issues splitting up your points and miles post-marriage? Tell us about it below. Featured image courtesy of David Cleveland via Getty Images.